Join me Nov. 17 for a workshop on Stone Basket-Weaving. In this 3-4 hour workshop you will learn two different basket-weaving styles for wrapping rocks and will leave with two of your own “stone baskets”. All materials will be included but if you have a stone of your own that you would like to wrap, be sure to bring it along. Class size is limited so be sure to register by clicking the “Purchase” button below. 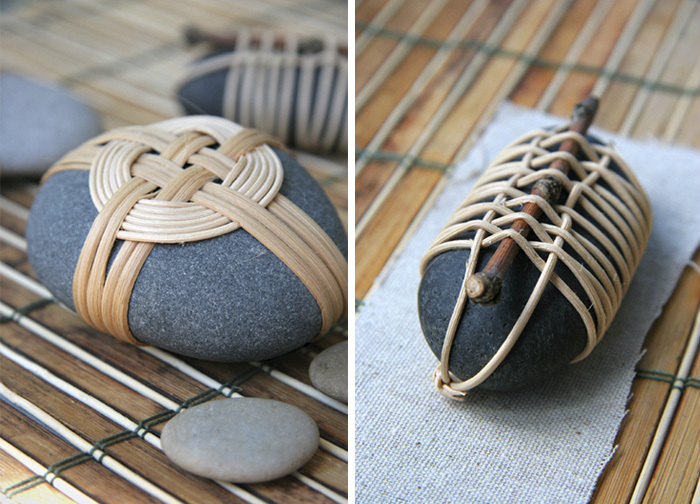 You can read more about stone basket-weaving on my blog, Nessy Designs.